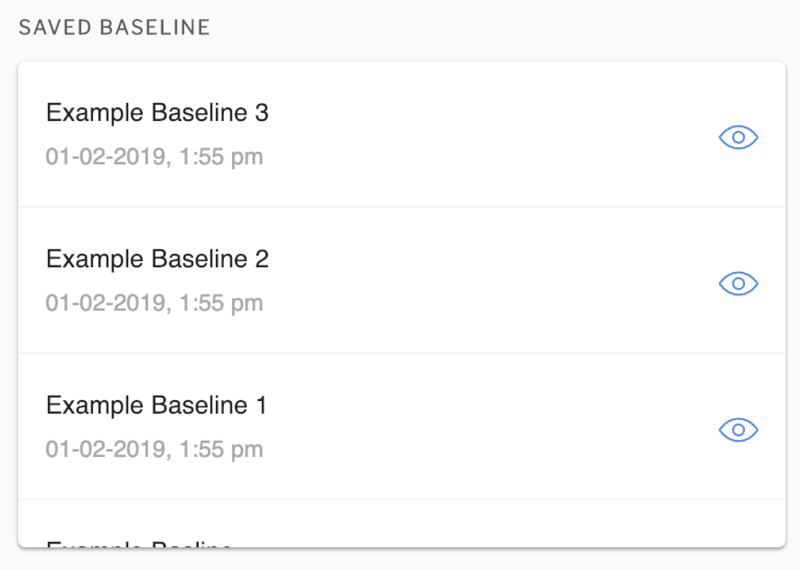 For more information on what Baselines are and how to record them see the following linked - What are baselines and how do I record them. Select the Eye icon to view a saved baseline. Select Back to Dashboard in the top left of the screen to return to the list of baselines.